Well, well, well. What can we say!?!? The Academy Awards rolled out this year’s nominations on Tuesday morning and Marvel blockbuster film Black Panther took away seven noms. SEVEN SEVEN SEVEN! If Black Panther had been snubbed I’d have broken something. 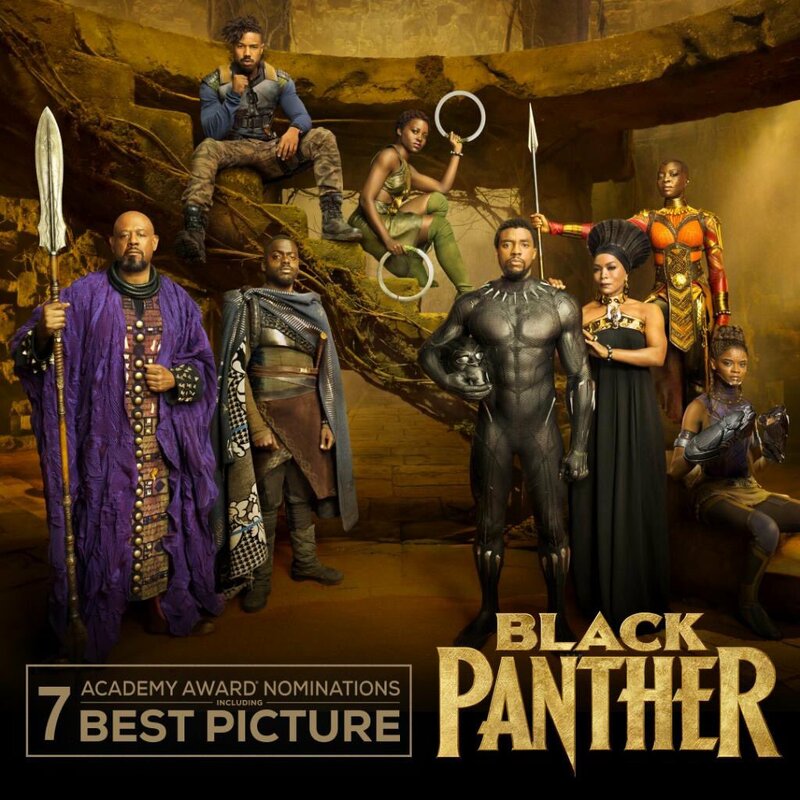 Nominations earned for Black Panther include Best Original Song (All The Stars – SZA feat. Kendrick Lamar), Best Costume Design (Ruth Carter), Best Original Score, Achievement in Sound Mixing, Achievement in Sound Editing, Achievement in Production and…drum roll…Best Picture! The news comes just over two weeks after the 2019 Golden Globe Awards kicked off Hollywood’s movie award season, which saw Black Panther earn two nominations but come up short on any wins or a much-deserved Best Director nomination for Ryan Coogler. Already, Black Panther picking up Best Picture is sparking conversations on social media and in the film world. Some think this is a progressive move by the Academy while others think the DC film The Dark Knight should have been more deserving of the honour. The 2019 Oscars will air on Sunday, February 24.